For Bobby Ciafardini, better known as Bobby C, working as the Sports Director for FUV is a humbling experience. He says, "WFUV is a gold standard for excellence in sports radio, and to have an opportunity to be part of this staff is a dream come true. I enjoy being part of the Fordham community and continuing the remarkable tradition of FUV sports." Bobby C works to help train Fordham University students and supervise their work in all facets of the sports department: live coverage of Fordham football and basketball games, reporting on New York's professional sports teams, producing content on Saturday afternoons for One on One, New York's longest-running sports call-in show, and contributing content to WFUV's sports website (wfuvsports.org). 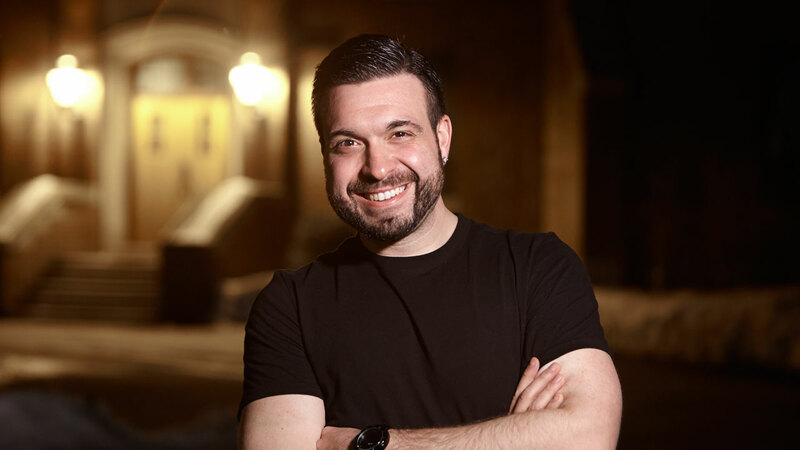 Before joining FUV, Bobby C was Sports Director and TV anchor for BronxNet Television, as well as Sports Information Director and NCAA Compliance Officer at SUNY Purchase College (his alma mater), roles he continues while at FUV. He has also been a sportswriter for the Associated Press, New York Daily News, and Philadelphia Daily News; a MSG Network host; the play-by-play voice of the Basketball Channel, and NFL statistician for television networks. Yankee slugger Aaron Judge poses with Cassidy Warner, an anti-bullying advocate. (Courtesy of the New York Yankees).